How is the fundraising environment shaping up for early-stage companies this year? The abundance of capital prevails, though it remains concentrated in a handful of cities and sectors. While US VC investment hit a record high of almost $140 billion invested in 2018, about 62% went into larger and late-stage deals. First financings declined. That said, it is a founder-friendly fundraising environment. SVB clients illustrated this: One-third of our clients who raised a Series A in 2018 were formed within a year of that raise. The majority of the remaining two-thirds raising Series A rounds formed within two years. PitchBook data shows valuations increased steadily over the past five years. The median seed-stage pre-money valuation is now $7 million, up from $4.8 million in 2013. The median Series A pre-money valuation hit a record $20 million in 2018, up from $9.6 million in 2013. With valuations holding firm, the leverage still lies with founders. Investors are competing for a smaller number of potential “category winners,” with many preferring to double down on existing portfolio companies. What are the major sources of capital at the early stage? Myriad emerging managers, micro VCs, sovereign wealth funds, family offices, hedge funds and PE firms coming downstream and record-high corporate participation mean these founders have a lot of choice. Family offices and corporates are playing a much larger role. SVB focuses on both of these channels, facilitating access to early-stage and growth-stage companies. Historically, corporates have favored late-stage investments and acquisitions. Today, more are experimenting with incubation, launching sandbox environments and co-working spaces. Verizon’s 5G Labs is a good example. It starts with community development and education, then blends that with targeted accelerator programs, venture investment and prototyping, engaging entrepreneurs in seven US cities to start companies that take advantage of the “network of tomorrow.” Corporate venture is the new R&D. Along with equity dollars, are seed-stage companies accessing debt finance? Companies with substantial seed equity that want to postpone raising a Series A may access financing solutions through SVB’s partnership with Lighter Capital, which has a fintech lending platform providing early-stage startups with up to $3 million in a fraction of the time it takes to raise from traditional sources. The Lighter platform pulls in 6,500 data points to analyze applicants, using proprietary algorithms to determine a credit rating and data science to predict a startup’s revenue growth with 97% accuracy on average. Are accelerators and incubators still the best way to get started? It is estimated that two-thirds to three-quarters of startups do not go through an accelerator or incubator. The boom in new accelerators has ended. Some models have failed. Others are growing. Y Combinator just graduated its largest cohort to date—200 companies. YC companies benefit from the platform as a distribution channel for them to acquire early customers quickly and at a low cost, which allows for much-faster product development and higher follow-on valuations. In the life sciences and healthcare sector, the Johnson & Johnson incubator, JLABS, operates in several US cities, Canada and now China. Overall, we expect to see more consolidation. As competition for high-quality deal flow increases, some investors are turning to scout programs or university accelerators, such as StartX. The data speaks for itself. 84% of the startups are still thriving or have been acquired. StartX companies are 2.5x more likely to reach $100M+ valuations and 60% more likely to raise a Series A compared with industry benchmarks. On the flip side, in March, I met a serial entrepreneur from New Zealand sitting at the intersection of agritech and AI who has been able to bootstrap up to this point. Newly acquired seed funding from a large Japanese corporate will allow him set up a base in California, with the goal of bringing intelligent robotics to growers and farmers. Outside Silicon Valley, is there more activity within early stage? Capital globally is increasingly focused around niche verticals, which is good for cities such as Detroit, now a center for automotive tech. Techstars placed its Mobility program there, in partnership with auto giants Ford and Honda. Steve Case started the Rise of the Rest initiative to give more exposure to entrepreneurs outside the major metropolitan areas. During a recent segment on 60 Minutes, Case shared that 75% of US VC went to four regions in three states: New York, Boston, Los Angeles and the San Francisco Bay Area. The Center for American Entrepreneurship warns that the US’ dominance of startup and VC activity is being challenged by the rapid ascent of cities in Asia and Europe. The US remains the clear global leader, but the rest of the world is catching up. Take fintech for example. New York and San Francisco are home to the majority of the 20 US fintech unicorns, but increasingly we see startups from London, Singapore, Hong Kong, Australia, Nigeria and Shanghai raising real venture money. Digital transformation in financial services is driving large-scale investor demand. Endeavor Global operates in high-growth entrepreneurial centers in 30 countries. The Endeavor Catalyst fund to date has made more than 90 investments in 24 markets, concentrated in Latin America and the Middle East. One of these, Dubai-based ridesharing company Careem, was just acquired by Uber. In December, I joined Endeavor’s investor selection panel in Cape Town, South Africa, where 12 global entrepreneurs pitched the panel for a coveted spot in the next cohort. I’m now an early customer of a company founded by an entrepreneur from Detroit (who ships beautiful house plants directly from the nursery), and I also purchased hardware that alleviates jet lag, designed by two eastern Europeans who met at university in Rotterdam, Netherlands. Capital aside, what other factors could have a negative impact on early-stage founders? Capital may not be the single largest issue in places such as Silicon Valley and New York—at least for now—but human capital is turning into a major obstacle for many. Finding the right team members to hire is often more difficult than finding the right check. In SVB’s 2019 Startup Outlook report, 91% of startups say finding skilled workers is challenging, compared with 76% who say fundraising is a challenge. This is consistent across startups in the UK, China and Canada. Entrepreneurs seldom speak with one voice, but this common issue of access to skilled talent could pose a risk to innovation. I’m worried there is insufficient focus on “the future of work.” For instance, are we educating our young people about the right things? I’m also concerned for skilled immigration. The National Venture Capital Association’s general counsel, Jeff Farrah, penned a recent TechCrunch opinion piece that questions the wisdom of decisions that could require companies to get special licenses for immigrants working on certain technologies. SVB is partnering with the NVCA to bring a delegation of investors to Washington, DC in June, and we invite people to engage in the dialogue on this topic. More representation will make the conversation stronger. On that topic, is there greater diversity among founders and funders now? The area of gender diversity is disappointing. I call it the “single-digit club.” Only 2%of global VC goes to female founders, and approximately 9% of GPs at US VC firms are female, up from 6%. When it reaches parity, we can celebrate. In SVB’s Women in Technology Leadership 2019 report, our clients in the US, UK, China and Canada report that 72% of startups have no women on the founding team, 44% have no women in an executive position and 60% have no women on the board. I truly believe that diversity improves performance. Groups comprising one singular constituency are riskier and generate poorer financial returns. We know that firms are working on this issue. I’m pleased to see Melinda Gates’ fund Pivotal Ventures invest in Ellevest and All Raise, and I am encouraged to see more investors take a stand by mandating operating standards and ethical practices tied to their investment dollars. In turn, I believe these companies will find it easier to attract top talent, increasing their probability of success. Claire is the Head of the Early Stage Group at SVB, dedicated to working with founders, entrepreneurs and pre Series A startups globally. Her team of evangelists operates in the major centers where entrepreneurship and innovation thrive – in the U.S. and in growth markets such as LATAM. This group oversees strategic partnerships for SVB with leading organizations, such as Techstars. Claire joined SVB in January 2014 from Microsoft where she spent a decade working with startups and developing programs such as Microsoft BizSpark and Microsoft Ventures to support early stage founders in emerging markets. Her career has taken her to 60 countries (so far) and she has lived and worked in 10 of those. Passionate about education and inclusion, about global affairs and about democratizing access to capital and opportunity, Claire has served as a mentor to groups like Seedcamp and Astia Global and as an advisor to the U.S. Department of State and the White House during the Obama administration. Claire sits on the board of directors of the FreeFrom organization – a group devoted to supporting victims of domestic violence – and is an active donor to programs that enable more girls access education, such as Room to Read, and aim to level the playing field for gender in politics, such as Emily’s List. 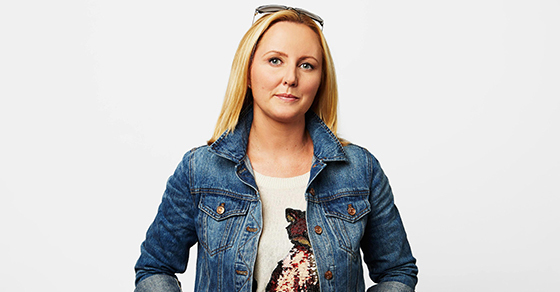 Born in Dublin, Claire’s career began with IBM in Ireland. She is a student of wine.